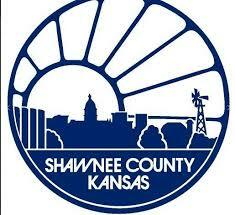 Located in the northeast corner of Kansas, Shawnee County plays a vital role in the lives of its nearly 200,000 residents. With the state capital of Topeka near the center of the county, Shawnee County is a state hub of activity and a community where hundreds of thousands of civic-minded citizens call home. In 2012, the City of Topeka’s parks and recreation department and Shawnee County’s parks and recreation department joined together, consolidating under a unified leadership to put forth a single offering. With a combined total of 140 parks to manage, the consolidated parks and recreation staff are mindful of the vast array of offerings available to citizens across the county and the need to engage citizens with a digital parks and recreation solution that is simplified and streamlined. According to Josh Lehman, Shawnee County Parks + Recreation Outcomes Program Supervisor, before implementing the CivicRec parks and recreation management solution from CivicPlus®, the department was utilizing an internally designed recreation management system that worked, but did not meet the needs of its patrons in terms of offerings, navigation and aesthetics as the department continues to grow and change. It was during Shawnee County’s recurring systems and procurement assessment that Lehman and his team decided it was time for an upgrade. After assessing potential software providers, Shawnee County chose the most robust offering on the market—and one that was available from an existing solution partner. The process to migrate Shawnee County’s existing parks and recreation data, including classes, activities and facilities into the CivicRec recreation management solution was accomplished through the combined efforts of Lehman, his dedicated team and his CivicRec implementation specialists. According to Lehman, staff and citizens are enjoying the enhanced functionality and ease-of-use offered by CivicRec. It has also alleviated some of the burdens associated with paper-based, manual processes. Implementing CivicRec has not only provided Lehman’s team with more robust functionality, and his residents with expanded and more intuitive online tools to self-service their registration and reservation needs, it has also further helped Shawnee County to meet its goal of increasing potential revenue. If you'd like to upgrade your parks and recreation management system to a modern, intuitive solution, start your transition by clicking below to take a self-guided tour of CivicRec.